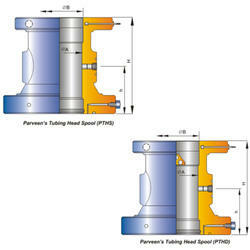 All tubing spools are designed to receive our standard PE secondary seal. Other secondary seal preparations are available upon request. Our standard range of tubing spools are offered in the following sizes. Owing to the wide experience of this domain, we are instrumental in offering Tubing Spool to our clients. Being an eminent organization in the industry, we are involved in providing a premium quality range of Tube Spool. 2616, 4109, 4730, 4259, 4112, 4C76. 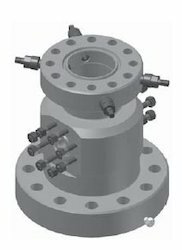 The Integrated Equipment-TCM Tubing head and tubing spool bowl profile is designed with a straight bowl profile to accept the popular range of industry standard tubing hanger designs. These hangers include wrap around hangers, mandrel hangers and extended neck hangers. ACE Petro Networks India Pvt. Ltd.